The crew of Laridae (children and parents alike) are excited about ocean science and technology. During this voyage, we are pleased to collaborate with non-profit and commercial companies involved in ocean science, research and technology. We will be using innovative techniques to sample the seawater quality, investigate the plants and animals living beneath the waves, listen for the call of marine mammals and other sounds in the ocean, and use satellites to track our messages that we send in glass bottles as they drift with the ocean currents. Join us as we use an RBR CTD, a scientific instrument used to measure seawater conductivity (salinity), temperature and depth. We lower the CTD on 200 m of Dyneema rope to profile the ocean (measuring the different water layers and properties) when we are becalmed at sea or arrive into a new anchorage. We can also sample the water quality, gravitational tides and local seiches when we are at an anchorage or harbour. By using an underwater hydrophone, a very sensitive microphone that is tuned in to low frequency sounds, we will be able to hear dolphins and whales talking and singing from kilometers away. We may also be able to hear other sounds in the ocean, such as waves crashing on the rocks, shrimps clicking to stun their prey, and motors from passing freighters… well before we are able to see the freighter over the horizon. Traditionally, the ocean has only been sampled by a very small number of very large oceanographic research vessels. While the scientific work that these vessels and crews can perform is of excellent quality, they can only cover a small portion of the global oceans. When citizens go to sea, and perform real research (guided by real oceanographers! ), citizen oceanographers can cover a lot more territory and learn new things about the ocean marine life, pollution, and water quality. We’ve partnered with Indigo V Expeditions and will be towing nets and taking water samples to collect marine microbiome data as a part of The Indigo Project. Along with biological data, we will be collecting water temperature, salinity and pH to correlate all our samples with ocean acidification and temperature changes. The marine microbiome, inclusive of non-motile plankton, is responsible for producing half the oxygen we breath and serves as the bedrock of the food chain. It is also very sensitive to acidification and rising temperatures. The young crew on Laridae will write special messages and create amazing artwork, then seal them in glass bottles and toss them into the ocean as we cross the Atlantic. Where will the ocean currents take the bottles and when will they be found? Usually, these questions will never be answered. But these bottles are special – they will be tied to the Marine Instruments MSi satellite GPS buoys! Graciously donated by the innovative team at Marine Instruments, the MSi buoy will send the location of the bottles to Iridium satellites each day. We will track the bottles as they drift across the ocean and place bets on where and when they will be found! Jimmy Cornell deploys a MetOcean SVP drifter buoy from SV Adventura. 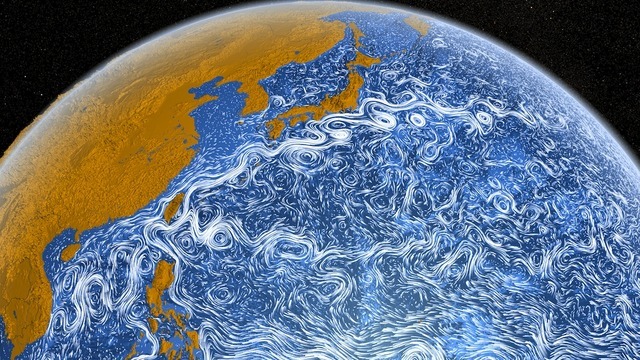 As the ocean currents meander around the world, they are transporting heat from the sun, freshwater from the rivers, nutrients from the shores, contaminates from industry, rubbish from waste, and all sorts of tiny phytoplankton and zooplankton (plants and animals that can’t swim against the current). As participants in the Cornell Sailing Ocean Science Program, we have partnered with MetOcean Data Systems to deploy an SVP ocean drifter buoy while we cross the Atlantic Ocean. The SVP drifter buoy use GPS and satellite technology to transmit its position as it drifts passively with the ocean currents. Drifting buoys are a very simple and effective way to measure the ocean currents and collect data that oceanographers can use to better understand where and why the ocean currents circulate around the world. MetOcean has graciously donated the SVP buoy and provided the data telemetry service. Scientists fear the population of the microscopic beings is in decline due to rising sea temperatures and, if true, that could have consequences for every aspect of marine life. Seafarers are being encouraged to take part in a unique global study, using a Secchi Disk (a simple white disk with 30 cm diameter) and a mobile phone app to record the effects of climate change. The public science project will measure the amount of phytoplankton, minute organisms at the very start of the marine food chain, currently residing in the worlds oceans. The crew of Laridae have constructed their own Secchi Disk and are joining the team at www.secchidisk.org to record Secchi depth measurements during calm periods at sea and in each anchorage around the Atlantic Ocean. So far, the record depth measured was 26.2 m in the middle of the Bay of Biscay! Learn more about how we constructed our own Secchi disk for only £2.99.